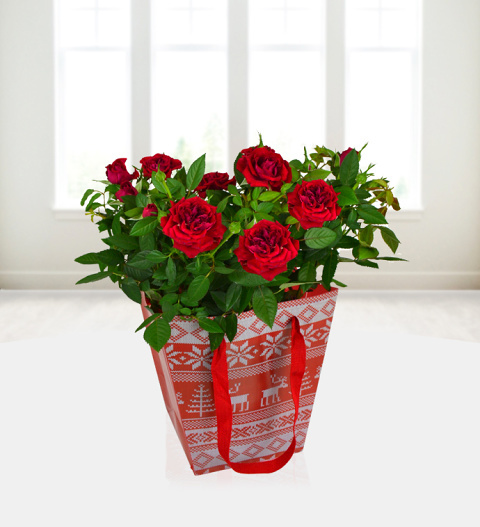 Our Potted Rose plant is a splendid gift to send for any occasion. This sweet smelling gift is beautifully presented in a festive bag. Easy to look after: the gift comes with a free box of Belgian chocolates. The gift is available for UK next day delivery. Chocolates may contain nuts.